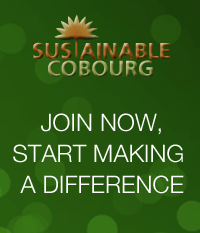 Our Sustainable Cobourg President, Gigi Ludorf-Weaver, is currently in Charlottetown, P.E.I., where she will be attending the Sustainable Communities Conference and Trade Show over the next three days. No doubt Gigi will bring home a wealth of information about how we can improve sustainability in our own community. We look forward to hearing all about it at our upcoming Annual General Meeting on March 3. We appreciate her commitment to sustainability! This entry was posted in News 2014, Sustainable Planning. Bookmark the permalink.